We are sure you have heard of the different types of house designs. One of them is the Mediterranean style. This kind of design takes its influence from the sunny countries that border the Mediterranean sea. 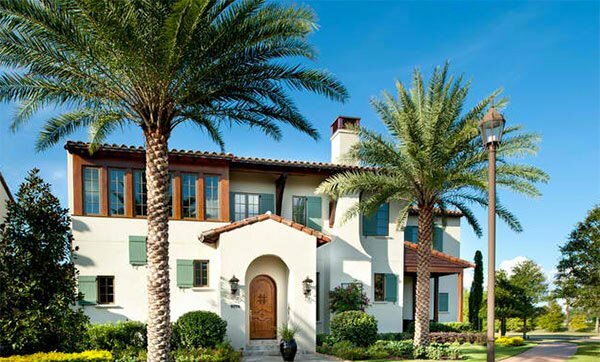 It combines the concepts of Italian and Greek styles giving it a classic Mediterranean style with some touches of Spanish architecture too. Most Mediterranean homes have exterior walls constructed of stucco, while roofs are sloping and usually covered with tiles. This 3,687 square feet is comprised of 3 bedrooms, 3.5 Baths, a den and a bonus room. We like the rounded bay window! What a home! 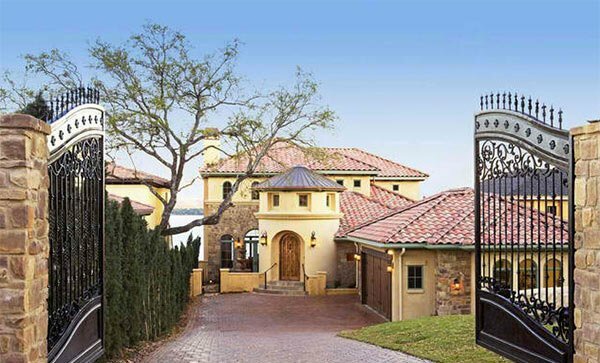 This sophisticated house has “Tuscany” plaster finish from Texston Co. which was acquired by the designer from Dubai. The house is 692.59 square meters total including the outdoor area. An arc entryway will welcome you into the house. Fantastically fabulous! 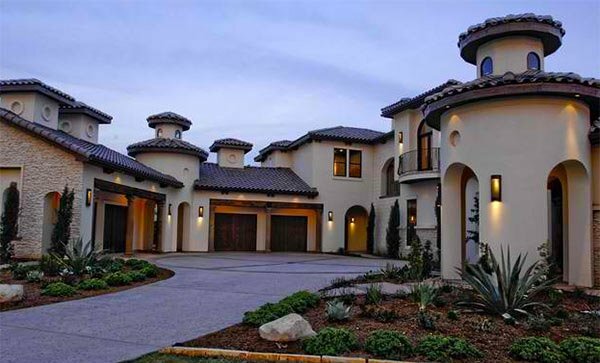 You’d feel like royalty as you get into a house like this that leads from a large double gate! The cast stone of the house is a “faux” stone that is made from white and/or grey cements, manufactured or natural sands, carefully selected crushed stone or well graded natural gravels and mineral coloring pigments to achieve the desired color and appearance. With the pool in the front, the house looked even more stunning! The Redland clay tile roof of the house add more appeal to it as well as its wide front yard. 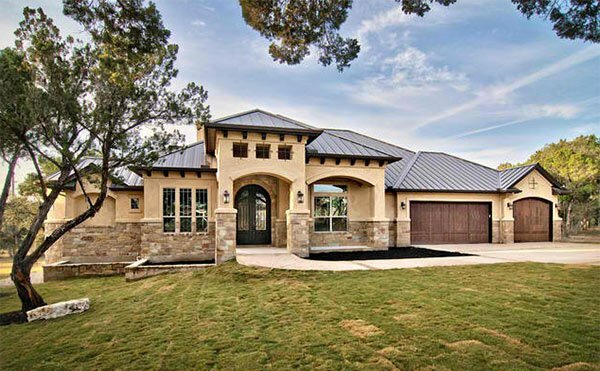 A Mediterranean style house in Austin with a 6,540 heated square footage, 6 bedrooms, 5 full baths, and 3 half baths. The trees in front of the house has a huge contribution to the look of the home. 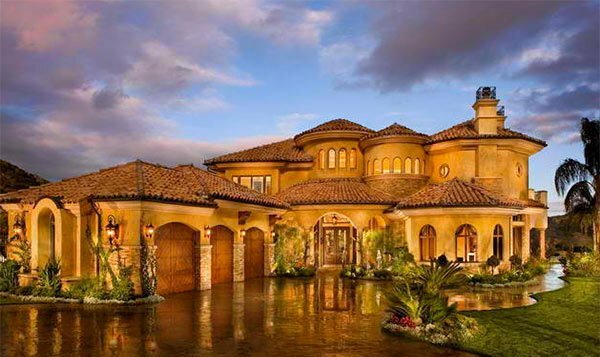 Another Mediterranean home to watch out! The glamorous feel is reflected all throughout the house. You are actually seeing just one side of the house but if you see other parts of it, you will love this even more! 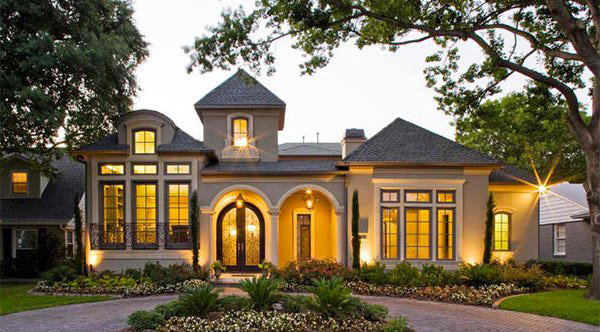 The stucco color for this house was called “cappuccino” and we are sure that we all like it! One common characteristic of a Mediterranean house is that it is low but wide like this one. 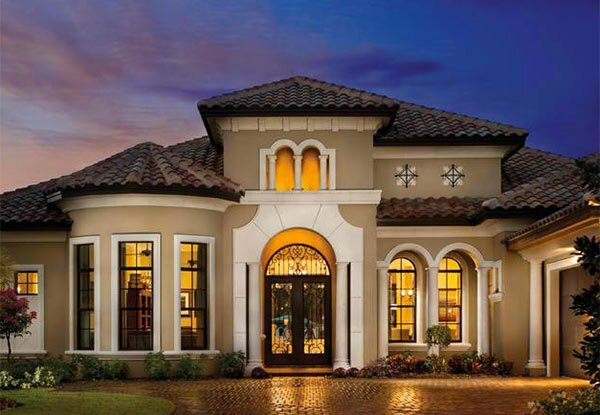 The terracotta roof tiles paired with white facade is just gorgeous! We especially love that wall with vines! The landscape of this home has a great impact to its entire look but even with a simple landscape, this house will still stand out! 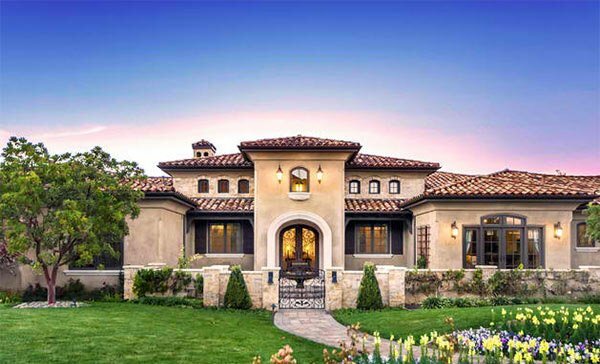 What can you say about this list of Mediterranean Houses? We think they are lovely. It has some class in it and the look is very sophisticated especially those with pools. But pool or no pool, a Mediterranean house will always look stunning. What adds to their beauty area its accompanying landscape that go well with the overall style. Want to see other home designs? You can always visit the Architecture section of Home Design Lover where we share to you daily doses of home design inspiration. But you can as well check some futuristic house designs for an ultra-modern home architecture.